James and Kieran are COLU; the dark-pop lovechild of The Weeknd and Allday. Kieran brings an atmosphere and an edge to the production side of the group, while James’ vocals soar over his soundscapes confidently. The pair have a bond stemming from their teens, where they met at a party. 6 years on and they still can’t hold their liquor. The 21-year old roommates are bursting onto the Brisbane music scene with their debut single ‘SCHOLAR’, an edgy haze of dark hip-hop production and bold sing-rapping. Written and produced entirely from Kieran’s bedroom; COLU bring an omnipotent, universal sound that is sure to stand out among Australian newcomers. 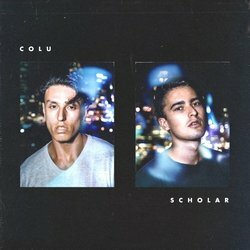 SCHOLAR is the debut single from COLU. A blend of dark hip-hop with braggadocious pop overtones, it is a unique blend and an impressive debut.